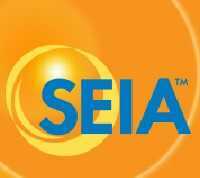 WASHINGTON, D.C. –- (RealEstateRama) — The Solar Energy Industries Association (SEIA) issued a statement on the Nevada Legislature’s passing of a bill that re-opens the residential solar market in the state, which had been all but frozen since a 2015 regulatory decision. The bill (AB 405) would reinstate the Net Energy Metering mechanism, but with a discounted rate for customer-generated power that is exported to the grid. The bill is expected to bring back the rooftop solar market in Nevada, while also adding strong solar consumer protection measures and a “Bill of Rights” for solar customers that the industry strongly supports. “Nevada is one step closer to a policy that will allow it to get back thousands of solar jobs that were lost. This bill is a compromise that doesn’t fully value the benefits of distributed solar. It will, however, allow Nevada consumers and small businesses who may have wanted to go solar, but found it uneconomic under the existing solar policies, to now proceed. 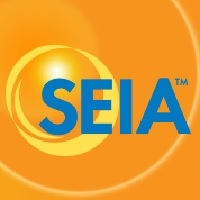 The legislation also provides important consumer protections, ensuring that solar customers aren’t placed in discriminatory rate classes and giving customers 20 years of certainty when they sign up to go solar. We believe that it will be able to get solar companies back to business in Nevada, creating jobs and investment. Nevada lost more than 2,600 jobs after the Public Utilities Commission of Nevada eliminated net metering in late 2015. If signed into law, AB 405 would help bring those jobs back by spurring increased demand for solar. The bill incorporates an adjustment to net metering, which will reduce the credit for exported energy as solar penetration increases, allowing all Nevada homeowners with rooftop solar to get credit for their exported electricity.